Thank you for your inquiry. We have passed your message on to Bella Bridesmaids. Bella Bridesmaids loves a wedding! We have the largest collection of bridesmaid dresses from the world’s leading designers in our Bella Showrooms. With hundreds of dresses to choose from, your personal Bella stylist is ready for anything. Whether you’re getting married in a grand ballroom or having a hoedown on the family farm, we have you covered. 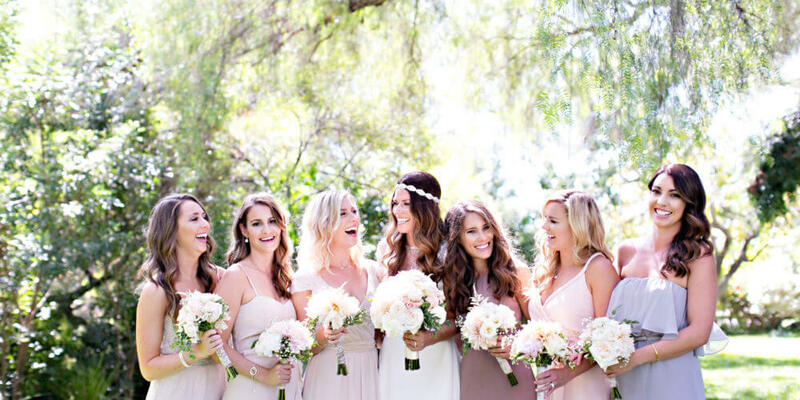 At Bella Bridesmaids, we recognize that every bride has her own vision and each bridesmaid is unique. We’ll give you personal attention to help you find the right dress for your girls and day-and ship your dresses anywhere in the Continental United States. We have hundreds of dresses and the largest selection of bridesmaid dress designers in our showrooms. 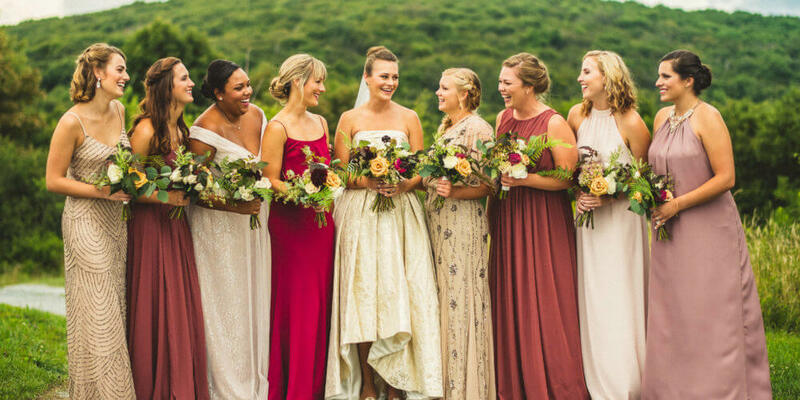 We have every color, fabric and style you can imagine to outfit your bridal party – even if you don’t want them to look like bridesmaids! Once you select your location, please fill out the personalized appointment form and a Bella Stylist will contact you to confirm a date/time. You may also call the showroom directly to schedule an appointment. Many brides have been planning and dreaming about their wedding for a long time. You may have Pinterest boards, a scrapbook, or pictures of your grandmother’s wedding you want to use as inspiration, we’d love to see them. Maybe you don’t know where to start? 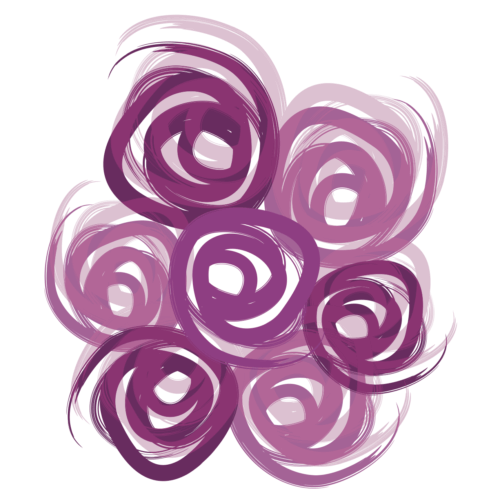 Check out our inspiration page, it’s chock-full of creative ideas and hints to help you along the way. We invite you to bring a few members from your bridal party to try on dresses and join in the excitement of planning your wedding. Our appointments are one hour in length and you’ll have the undivided attention of your personal Bella stylist, a problem-solving partner in planning your wedding. Our showrooms are comfortable, stress-free zones, where you can sit back, relax, and view lots of styles, fabrics, and fits that will bring your wedding to life. 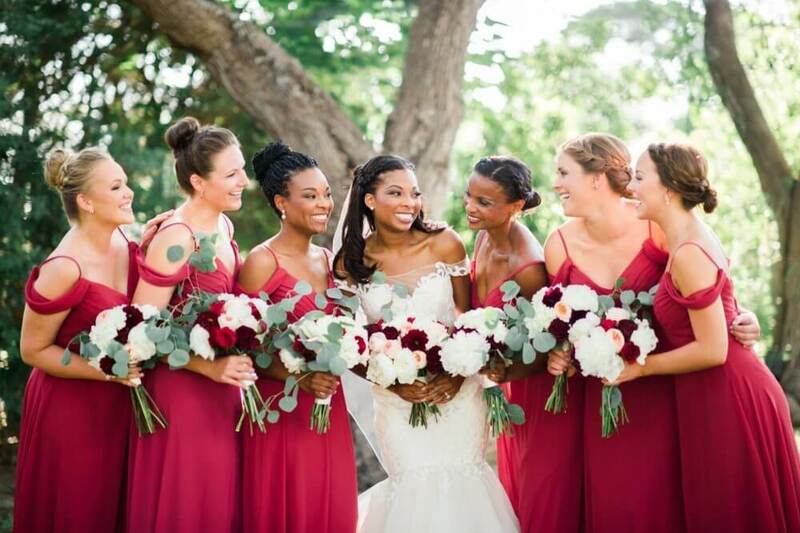 Bella Bridesmaids carries the largest selection of bridesmaid dress designers and this is particularly important to consider when we talk timing. The majority of our designers specialize in custom orders and have 3 to 6 month lead times. For this reason, we recommend ordering 4 – 7 months in advance of your wedding date to allow time for alterations. If you are in need of a rush order, there is usually a fee of 15-20% for a quicker turn around and the fee can vary by designer. Bella Bridesmaids also carries a number of designers offering quick ship dresses that can be in your hands in 1 to 2 weeks. Your Bella stylist will hold your hand through style selection and planning to be sure your bridesmaids look and feel beautiful on your big day – no matter the timeline. Once a decision is made, it’s smooth sailing to get the dresses ordered. Bella Bridesmaids shares ordering instructions via email and a link to the showroom’s online bridesmaid order form. 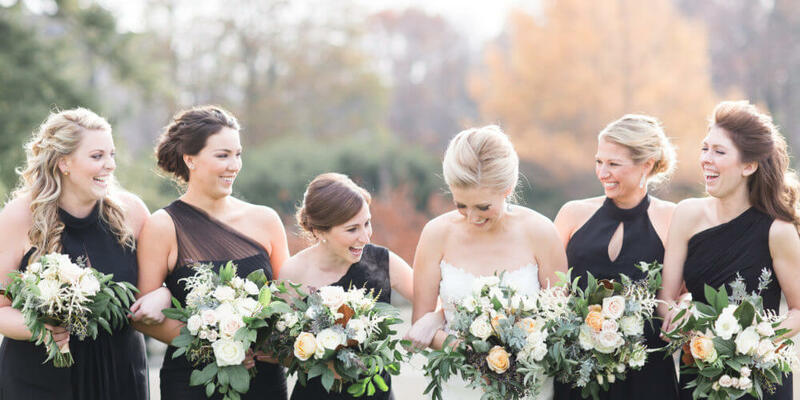 Each bridal party is assigned a unique event code to ensure order accuracy and pricing. To access the online order form for your local Bella showroom, please visit their location page. Our online order form makes ordering a breeze – whether bridesmaids live in Boston or Brazil! We cannot accept orders over the phone, but contact your Bella Bridesmaids showroom with any questions along the way. While bridesmaids are ordering, the bride has real time access to the status of her order, 24/7. Once we have all bridesmaids order forms, we share a Final Contract with the bride for a last summary and approval before placing the completed bridal party order. This ensures accuracy, timing, dye lot, and a number of other variables.